Home Search View Cart Index LOW PRICE GUARANTEE! 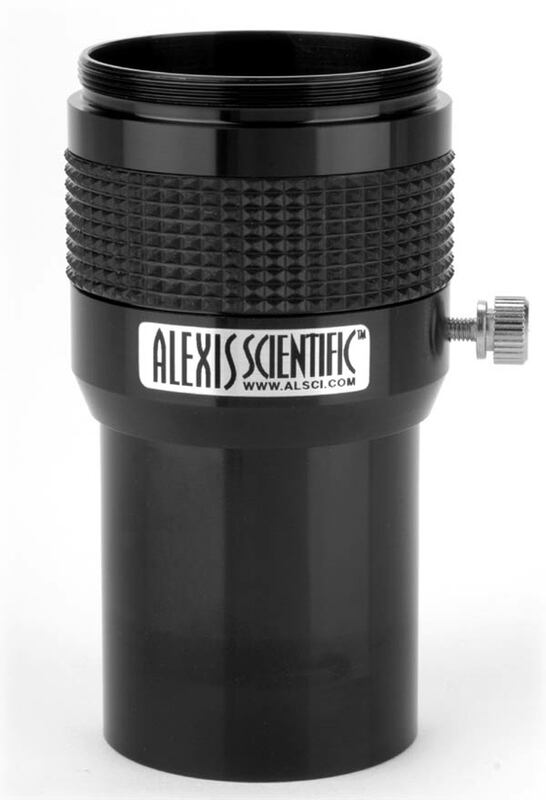 for your Microscope (or Telescope). 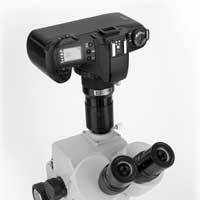 A complete system consists of both the Clearshot 600 and a camera-specific attachment ring. The Clearshot 600 is simply the most versatile digital camera adapter available at any price. This kit is perfect for connecting most digital cameras with threaded lenses to most microscopes. Also works for 35mm SLR and DSLR Cameras. 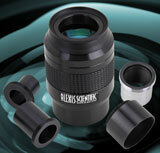 Specially designed to reduce vignetting (pipe view effect) when using digital cameras with large lenses. The Clearshot 600 kit includes adapters to fit optical devices with any of the following attachments; C-Mount, C/S-Mount, T-Mount, 23mm Eyepiece Port, 30mm Eyepiece Port, and 1.25" Eyepiece Ports. It has an industry standard "T" thread on top and uses a camera-specific attachment ring to mate to your particular digital camera. We carry the world's largest selection of attachment kits to fit hundreds of popular digital cameras and we update them regularly so your Clearshot 600 will not become obsolete when it is time to upgrade to a new camera. 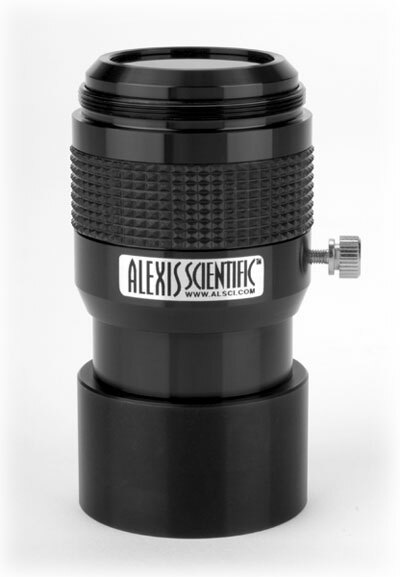 The lens assembly is the main part of the system. It is a wide field 40mm four element symmetrical (Plossl) lens assembly mounted in a custom mechanism. 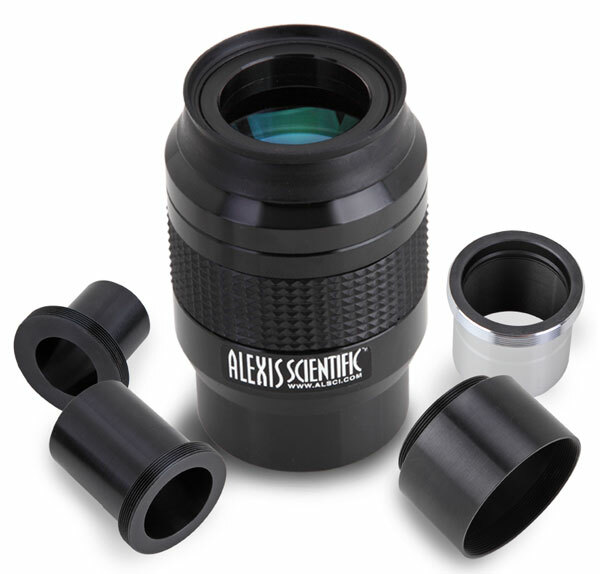 The lens assembly also features a sliding collar which does several things. It allows easy removal of the camera, it allows you to adjust magnification when used with a 35mm camera, and allows adjusting the position to minimize vignetting. Here it is shown with the included 30mm microscope eyetube adapter installed. 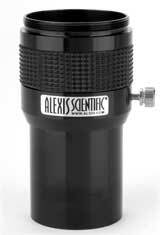 This tube is also internally threaded with a female "C" or "CS" mount for attaching to this common photo tube style. 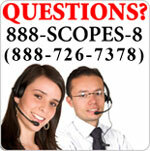 For further discussion on the C/CS optical mount, click here. Here it is shown with the included 23mm microscope eyetube installed. 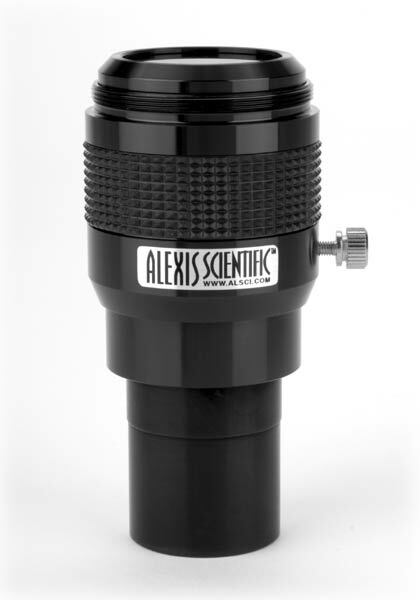 This adapter is most commonly used for compound microscopes in place of an eyepiece. It will also fit 23mm I.D. photo tubes. Shown with the included T-Mount adapter installed. 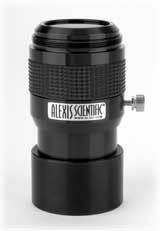 The T-Mount adapter is a common microscope optical mount. For further discussion on this common photo standard, click here. 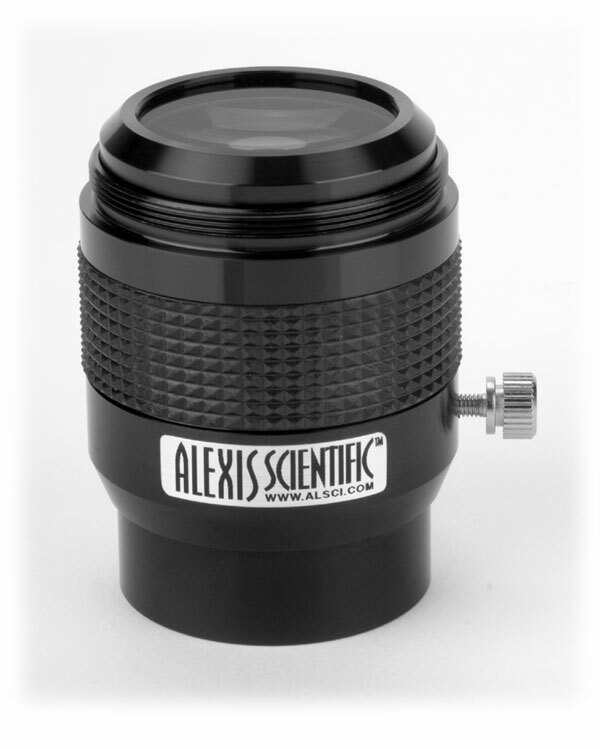 Shown with the included 1.25" telescope eyetube adapter. 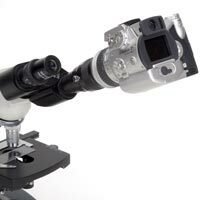 Clearshot 600 shown mounting a digital camera to the eyetube of a binocular compound microscope using the 23mm adapter (left). 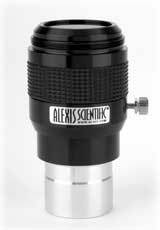 It also works just as good on a monocular (single eyetube) microscope. 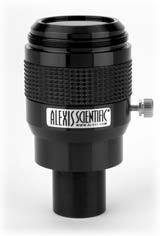 Also shown mounted on a trinocular stereo (dissecting) microscope using the C-mount adapter (right).